From all the pretty flowers. Shout out to Christina McMullen for introducing me to the concept of a Zazzle Store. Christina writes good books and I follow her on Twitter. She also makes silly drawings. I egg her on. Then, she announced her Zazzle store, and I bought a few things and discovered them to be, actually, high quality and beautiful. So I decided to make my own Zazzle store. Speaking of Twitter, McMullen is one of the few people with whom I truly interact on that forum. I used to subscribe to the idea that, the more Twitter followers I had, the more books I would sell. That has not proven to be the case. In fact, there was one instance when I shared a quote from Exhaust(ed), and immediately got a book of mine returned to Amazon. (I didn’t know you could return books to Amazon! Don’t return mine, now, please!) So, you could say that I proved that sharing my work on Twitter actually has a negative impact. Now, I’ve got thousands of Twitter followers, most of whom I “follow” back, and I don’t know them. They don’t know me. I think we’re all just out to promote ourselves. Everyone is shouting and no one is listening. It’s just a creepy mess. So, I’m done with that. I’m deleting my Twitter account in one month. However, I still enjoy interacting with a few key people (Christina McMullen, Alex Bledsoe, Professor Batty, my dad… and a few more) and I do like to follow a few famous people, so I have started a new account. I’m keeping it small. I’m not following back, unless I know you. 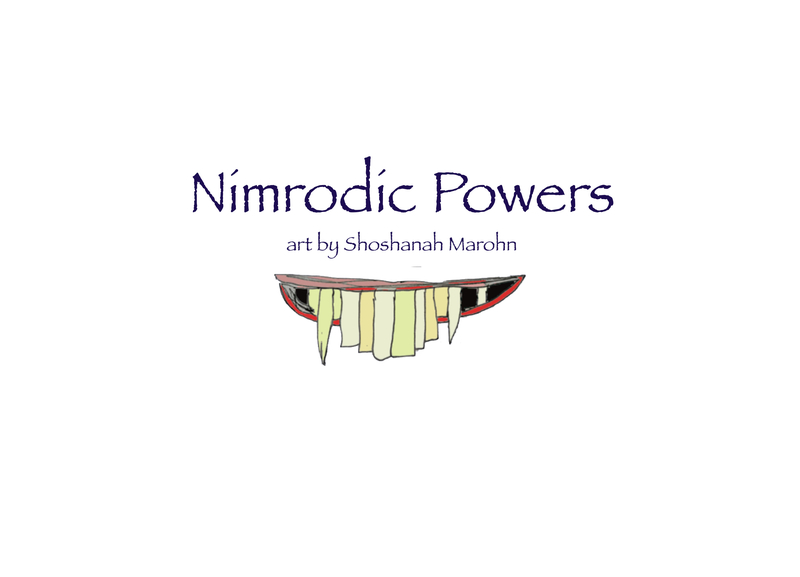 So, if I know you, or if you want to follow me and you don’t care that I probably won’t follow you back, my new Twitter account is @MyNimrodicPower I will still promote my books and art a little bit, because that’s just what I do, but I’ll try to be a bit more chill about it. I don’t quite understand it, but the Twitter Bot I created seems to be growing more aware of current events. Are its tweets making more sense, or did I just learn how to read them? What were you doing then, Meaningbot42? Why did you choose just now to mention this? This doesn’t have anything to do with a certain isolationist in the White House, does it? I see. You’re escaping bad emotions through art. But now you’re feeling guilty? I know, it’s hard. But wait, you have hair?! Suicide is never the solution, MeaningBot42!